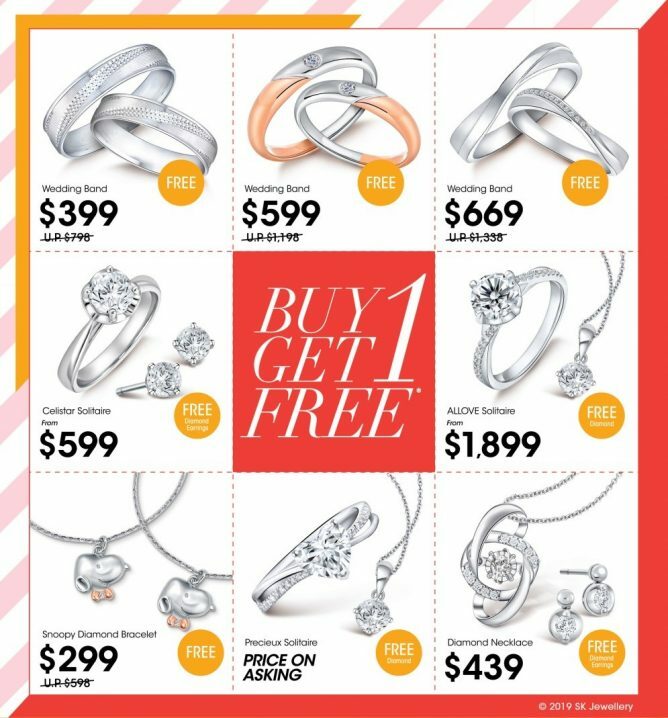 Home > Fashion > Jewellery > SK Jewellery: Warehouse Sale with Buy 1 Get 1 FREE on Solitaires, Wedding Bands, Snoopy Jewellery & Other Deals! 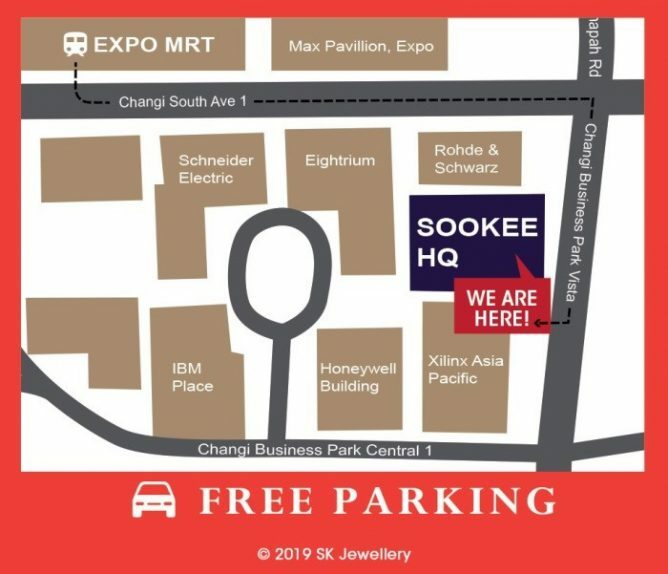 28 - 31 Mar 2019 SK Jewellery: Warehouse Sale with Buy 1 Get 1 FREE on Solitaires, Wedding Bands, Snoopy Jewellery & Other Deals! The biggest jewellery warehouse SALE is here! 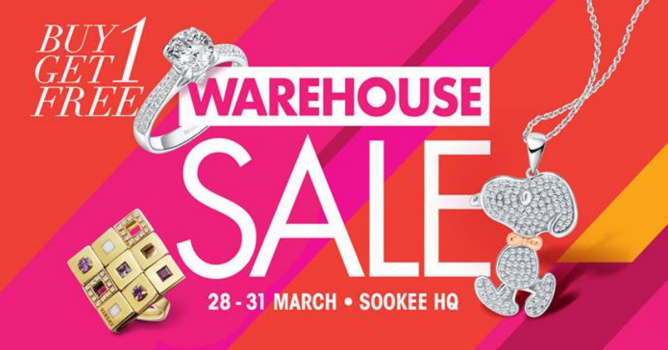 Buy 1 get 1 Free on solitaires, wedding bands, and Snoopy jewellery from March 28 – 31, 2019 at SK Jewellery Warehouse Sale! Participating brands include SK Jewellery, Love & Co and Sookee Jewellery. - 1-for-1 wedding bands,choose over 300 designs that come in white gold, platinum and rose gold, according to the organisers. Prices start as low as S$299. March 28: Diamond ring at S$499 (U.P S$839) for first 20 customers. March 29: 999 Pure Gold Bar at S$79 (U.P S$139) for first 50 customers. March 30 : Half-diamond Bracelet at S$699 (U.P S$899) for first 20 customers. 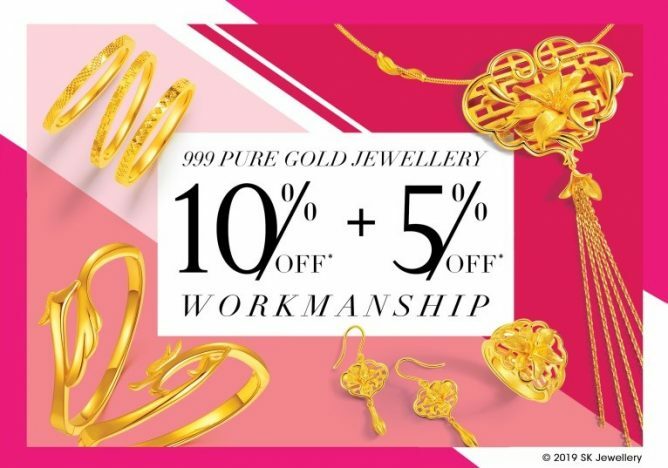 March 31: 999 Pure Gold Pixu Bracelet at S$99 (U.P S$199) for first 50 customers. - OCBC Cardholders would receive free diamond earrings with any purchase from their Dancing Star collection. - FREE PARKING on 28-29 March with any purchase and 30-31 March, purchase not required. Previous: Burger King: Buy 1 Get 1 FREE Double Mentaiko BK Chick’N Crisp & $2 Crispy Chicken Cutlet!